Cely Rivera has spent a lot of time waiting for help since Hurricane Maria devastated Puerto Rico two weeks ago. Rivera, 38, lined up with her daughter for water in Guayadilla on Monday -- the first time she came across aid workers from the Federal Emergency Management Agency. Then they lined up for food. Rivera had already waited in line to buy gas over the weekend. But waiting in line for basic necessities isn't the only obstacle, Rivera said. "There isn't cash to buy anything," she told CNN. Rivera lives on the south side of the island, where operating banks and ATMs are in far shorter supply than in the capital, San Juan. It's yet another problem for Puerto Ricans who are already scrambling to find food, water, fuel and shelter. Much of the island still lacks power after the local utility's transmission and distribution lines were knocked out in the storm. Cell service is also out for a vast majority of residents. Christian Sobrino, a member of the Financial Oversight and Management Board of Puerto Rico, told CNN Español on Sunday that 180 commercial bank branches and credit unions were up and running, double the number from two days earlier. But about a third of those are located in and around San Juan. 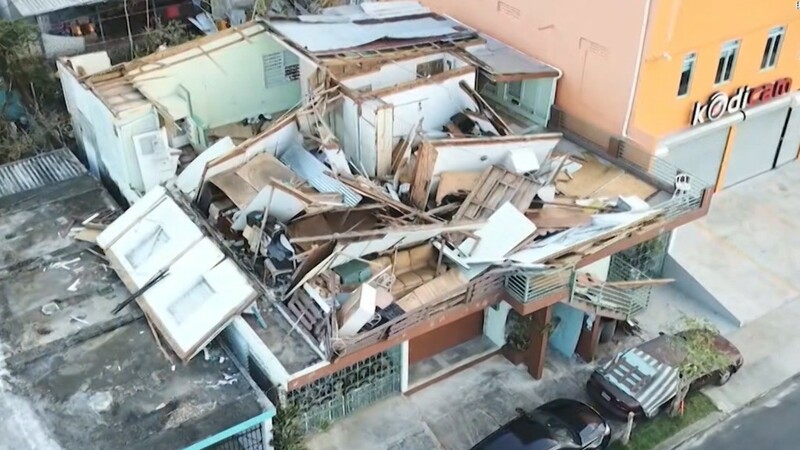 All told, only about 40% of all bank branches on the island have opened since the storm hit, said Zoime Alvarez, the vice president of the Association of Banks of Puerto Rico. There are also 300 open ATMs, but some municipalities have only one or two operational, Sobrino said. That's making it hard to people to get enough cash. Many merchants aren't accepting credit cards because they have no electricity to power the machines that process them. Banking officials have cited a litany of problems that are preventing them from opening more banks and ATMs. There haven't been enough drivers to transport cash. Because of widespread power outages, banks have to rely on generators to function. And employees often don't have enough gas to get to work. "Communications and electrical power are our biggest challenges," said Iris González-Bonilla, the public relations vice president for FirstBank, a major bank in Puerto Rico. The island has been focusing first on routing power to hospitals and government operations before it reaches other places, she said. González-Bonilla said Monday that 27 of FirstBank's 48 branches are in service, along with its three main buildings. The company only has about 20% of its ATM network running, though. Banco Santander, another major bank, this week listed about a dozen branches that were open -- about double the number from last week. The company's U.S. operation also announced it would donate $2 million to relief efforts, adding that it would match mainland employee charitable giving up to $1,250 per donation. Santander added that it has taken additional steps to help customers, including allowing them to voluntarily defer personal loan and credit card payments for three months. It's also letting the public charge phones and use wifi at its main office in San Juan. Banco Popular, meanwhile, told customers this week that it was operating more than 170 ATMs and more than 50 branches. Popular did not immediately respond to a request for comment.